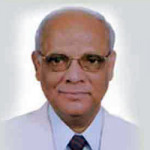 Dr. S C Dash is Former Professor & Head, Dept of Nephrology in AIIMS, New Delhi, India. Dr. Dash has served in All India Institute of Medical Sciences for almost 30 years. Dr. Dash currently the Emeritus Professor in Medicine and Professor & Head of Nephrology Department at KIMS was earlier Director, KIMS & Pradyumna Bal Memorial Hospital. He has served at AIIMS, New Delhi for 31 years as Professor and HOD of Nephrology, where he trained innumerable MD, DM, DNB & Ph.D. students. What are the causes of acute kidney injury? Dr. S C Dash, Director, Kalinga Institute of Medical Sciences, AIIMS, New Delhi will explain about the causes of acut..
What can cause recurrent urinary infections? In this video, Dr. S C Dash, Director, Kalinga Institute of Medical Sciences, AIIMS, New Delhi, will talk about recur..